Google took to the stage unveiling their much-leaked Pixel 3 and Pixel 3 XL phones today in New York City. Thanks to all of the leaks we were already aware of almost everything there is to know about both of these phones. In case you’re in need of a refresher the Pixel 3 and Pixel 3 XL are both packing a Snapdragon 845, 4GB of RAM, come with either 64GB or 128GB of storage, include a 12MP rear camera with dual 8MP cameras on the front, and are launching with Android 9 Pie. Where the two phones differ comes down mostly to the size of the screen and battery. The Pixel 3 offers a 5.5-inch display with stereo front-facing speakers. While the Pixel 3 XL has a larger 6.2-inch display with an obnoxiously large notch but also includes stereo front-facing speakers. Due to the size difference between the screens, it is only natural the Pixel 3 contains a smaller 2915mAh battery and the Pixel 3 XL features a larger 3430mAh battery. If you’d like to know more about either of these phones have a look at our article on the official launch of the Pixel 3 and Pixel 3 XL. Project Fi is one of two carriers that sells the Pixel 3 and Pixel 3 XL directly. The 64 GB Pixel 3 starts at $799 and 64GB Pixel 3 XL starts at $899. 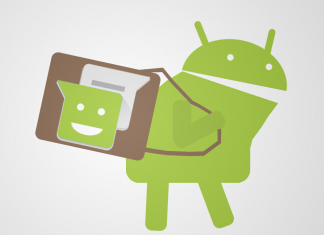 You will need to add another $100 to both if you want to jump up to the 128GB model. Both models come in Just Black, Clearly White, and Not Pink. Pre-orders are available starting today. With the purchase of a Pixel 3 or Pixel 3 XL from Project Fi and activation of a new line, you will receive a $799 credit. 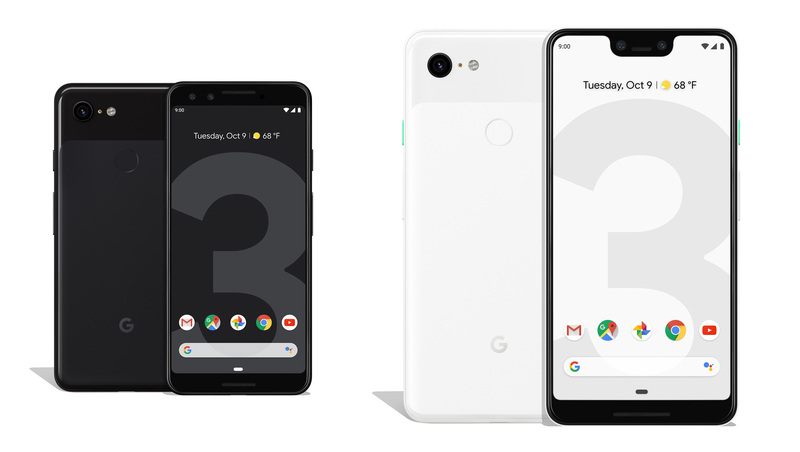 Pre-order for the Pixel 3 and Pixel 3 XL are available right now from Verizon. The 64GB Pixel 3 will start at $33.33 per month for 24 months or $799.99 total. While the 128GB Pixel 3 will start at $37.49 per month for 24 months or $899.99 total. The 64GB Pixel 3 XL starts at $38.74 for 24 months or $929.99 total. While the 128GB Pixel 3 XL starts at $42.91 or 1029.99 total. Both will be available in Just Black, Clearly White, and Not Pink and can be found in stores beginning on October 18. For a limited time, Verizon is running a buy one get one deal on the Pixel 3 and Pixel 3 XL. When you purchase one of the new Pixel 3 phones and add a new line of service you will receive a 64GB Pixel 3 for free or $799 off any other Pixel 3 or Pixel 3 XL phone. Verizon is also offering a free Pixel Stand if you purchase through the My Verizon app on October 9. Both the Pixel 3 and Pixel 3 XL can be bought unlocked directly from Google and will work on AT&T, Sprint, T-Mobile, and associated MVNOs. If the full price is a little steep for you then you have the option to finance through Google and you can also trade in an old phone for a discount. The 64GB Pixel 3 will start at $799 or $33.29 per month with Google Store financing. The 128GB Pixel 3 will set you back $899 or $37.46 per month if financed through the Google Store. The 64GB Pixel 3 XL starts at $899 or $34.46 per month with Google Store financing. While the 128GB Pixel 3 XL costs $999 or $41.63 per month if financed through the Google Store. Pre-orders have already begun and you can choose between all three colors including Just Black, Clearly White, and Not Pink.